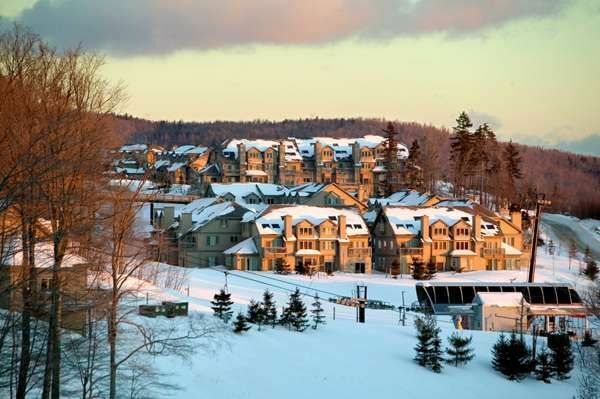 I remember that particular afternoon, when a friend and I talked about trying to do something to help save Mount Sunapee from the dread of slope-side condo development. Sullivan county, New Hampshire had no history* of activism, none, zero, zip. Being a native, of a conventional, conservative county, I had to really watch my thoughts of not wanting to make waves in my home town. I didn’t want to stand out. Besides, people I talked to said there was “nothing that could be done”, “it was already a done deal”, or they were “going to develop the mountain and what could anyone do anyway”. That particular afternoon, the friend and I decided to call a few people, and set up a meeting at the Abbott Library in Sunapee to see what could be done. That first meeting eventually led to the formation of Friends of Mount Sunapee. (*Current FOMS Vice President Linda Dennis was a founding member of a previous Mt. Sunapee land protection group, but at the time we convened, it was not active). It makes one wonder how some can be so incredibly out of touch with reality, out of touch with the wishes of the locals and the natural environment. I just watched the movie Avatar, (I still have a headache from the Imax 3-D version three days later) and the Muellers’ insatiable appetite for land and profit remind me of the miners in Avatar and their lust for the precious “unobtainium” mineral at all costs.